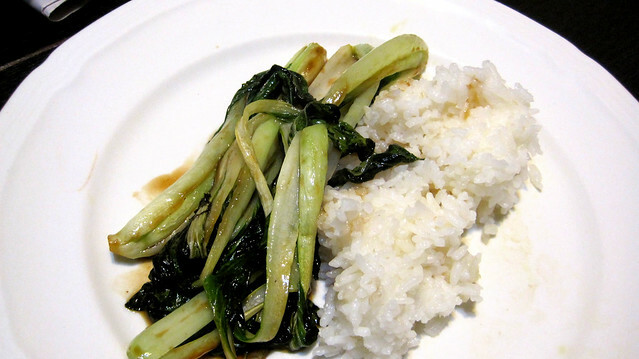 After treating my stomach to tacos for lunch, I decided to cook up a vegetarian dinner loosely using a recipe from a bargain bin cookbook on Asian cuisine, I made sauteed baby bok choy with a hoisin sauce and served it with some leftover white rice. Heat wok over high heat and pour vegetable oil into wok and move around to coat. 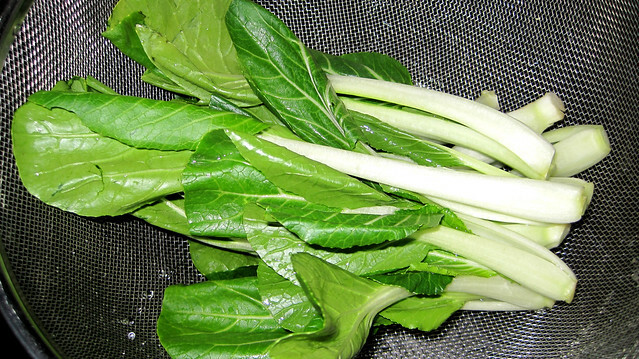 Toss bok choy in wok until ready to eat and set aside (roughly 3 minutes). In separate small bowl, mix sugar and white wine vinegar. Pour into wok and let reduce (roughly 2-3 minutes). Add hoisin sauce, mix and let reduce again (3 minutes). Add bok choy back into wok and toss until well coated in hoisin sauce. Serve with white rice and enjoy.